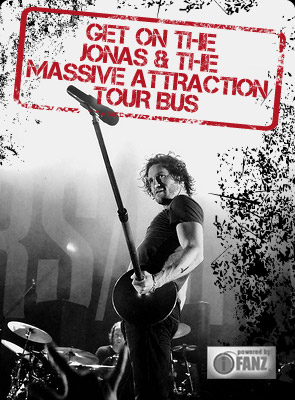 Based on a powerful performance last month on their “Big Slice European Tour 2012” headline tour, Jonas & The Massive Attraction have just been added to the main stage line up at Bospop, one of the biggest rock festivals in The Netherlands, on Sunday, July 8, 2012 at 1:15 Pm. The band is thrilled to play Bospop and will share the stage with headliners Alanis Morissette and Lenny Kravitz along with Chris Cornell from Soundgarden,The Cult, Tom Jones and Wolfmother. Check out www.bospop.nl for the full line up of great acts. Tickets for the festival are ON SALE NOW! Get your tickets on-line at BUY TICKETS. For more ticket info see Ticket Info.